Our standard services offer a number of key benefits as soon as you sign up � so you'll have the flexibility of how to send and the peace of mind it will get there in the shortest possible time. That's �part and parcel' of our commitment to everyday high standards. Speed. With the logistical capability of over 1000 same-day local and regional services operating via our pioneering hub and spoke system we can deliver to many of your customers and contacts before 9:30am the next business day � without any additional cost. Range. 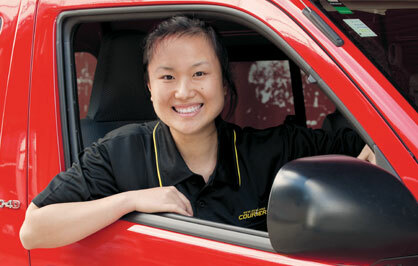 We are proud to offer the furthest same-day package delivery in New Zealand. Across our national network and through 100s of dedicated delivery paths we connect towns and cities, often two or three times a day. Ease. 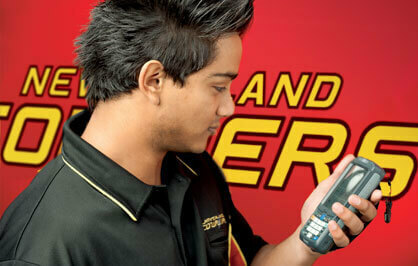 We're continuously developing our systems and technology to make life even easier and more efficient for you. Using our range of online tools and service you can quickly get an account, book a delivery and track its progress with the greatest of ease and confidence. 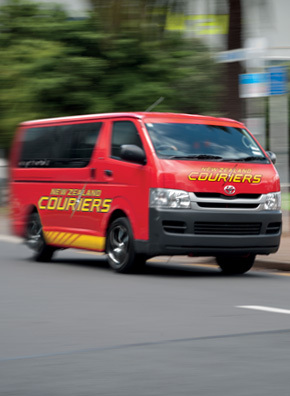 Through a wide range of New Zealand cities, towns and regions we can offer faster, often same-day delivery at no extra cost. 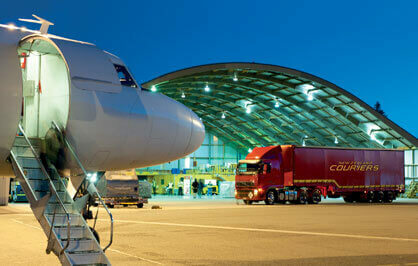 With 46 linehaul trucks, 5 dedicated cargo planes, 18 branches and over 500 individual couriers you can be confident that our network will move what you send quickly and efficiently. We also provide a signature on receipt option at no extra cost. So you can be sure your package meets its person. 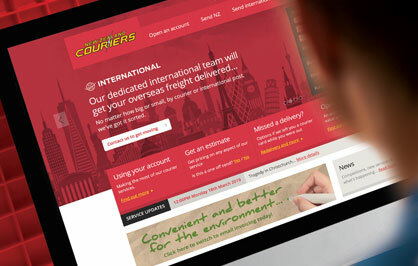 We deliver to 99.9% of New Zealand and can even deliver to main centres on Saturday to keep your business moving. Certain areas may be designated as �rural� or �non-urban� which means that we offer delivery to that area but there is an additional cost. Similarly, if you wish to have an item delivered on Saturday there is an additional charge and this service may not be offered to all locations. Once you have an account you can easily access a range of online services. Order courier tickets and packs, book a courier, track your delivery and arrange for redelivery if there has been a Missed Delivery card while you were out. You can also lodge a tracking query online, receive billing online and, with a number of additional services, enjoy a range of customised web-based solutions. If you have an account with us you're all set up to send both around New Zealand and around the world. As part of our standard services we've ensured our customers can import from 170 and export to 220 countries around the world without any additional hassle. So there's no need for a second account, special sign-up process or separate billing � you can send worldwide right from the word go.